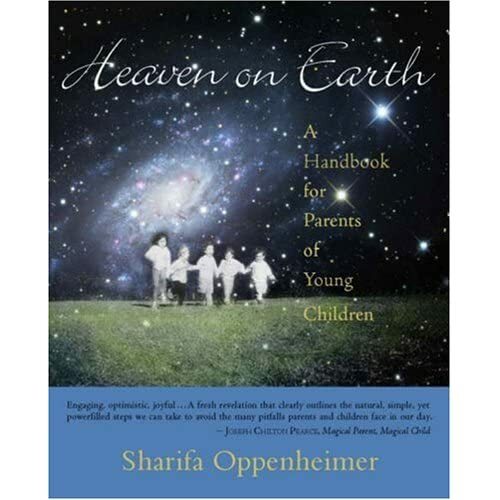 I’ve been a mother for nearly four years now, but I experienced a mental shift in the way I parent about one year ago when I first read Heaven on Earth: A Handbook for Parents of Young Children by Sharifa Oppenheimer. It was in the pages of this magnificent guide that I first learned about the Waldorf philosophy of education. I reveled in each page as I pondered creative ways to build my family culture with a “guiding principle of love.” Ideas abound for art projects, storytelling, festival celebrations, indoor and outdoor play spaces that are both functional and mystical, natural and open-ended toys, and perhaps most importantly for making play the foundation a child’s day. This book is a revelation, and I credit it as the impetus for my journey into my own version of attachment/natural/slow parenting. For all of you who have found my little blog while you seek ways to connect on an intimate level with your children, read Heaven on Earth before you do anything else. You won’t regret it. This book is going to the top of my summer reading list–I wish I had read this a long time ago!